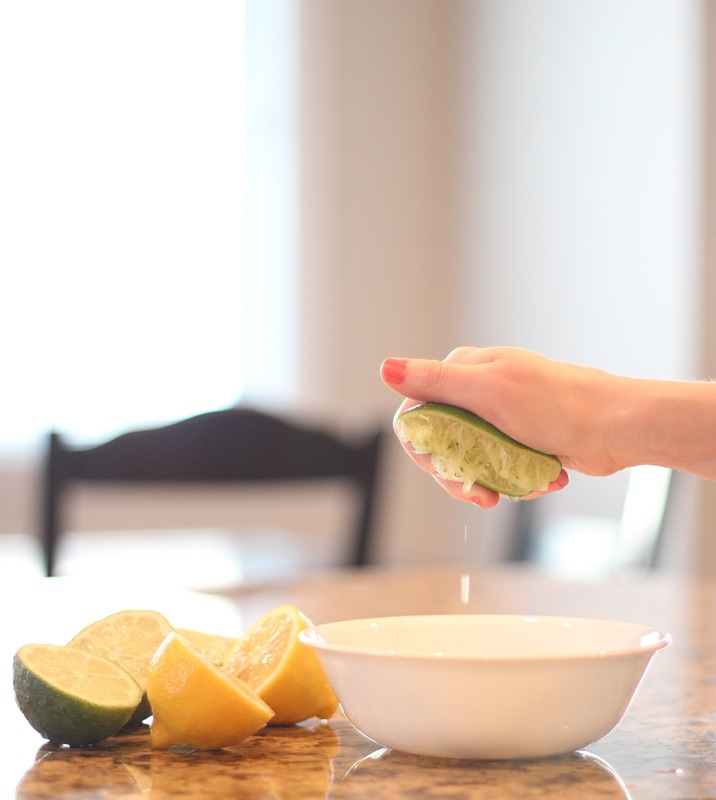 It can be tough to juice lemons and limes, and thus tempting to just buy the bottled juice. But fresh is best! 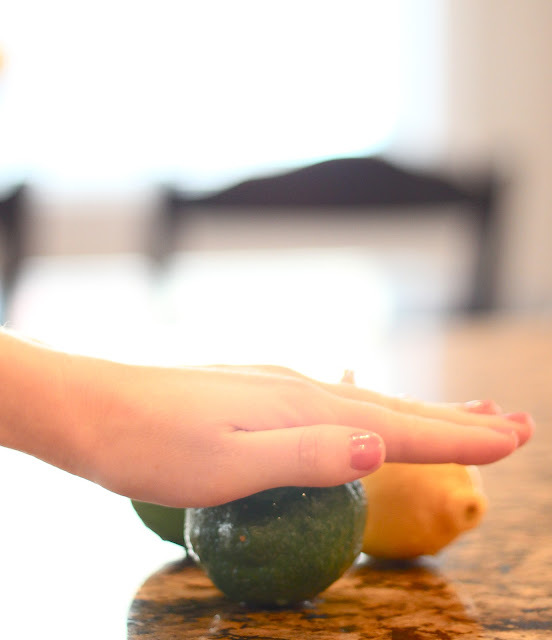 Here is a great way to easily get the most juice from those sometimes stubborn lemons and limes. 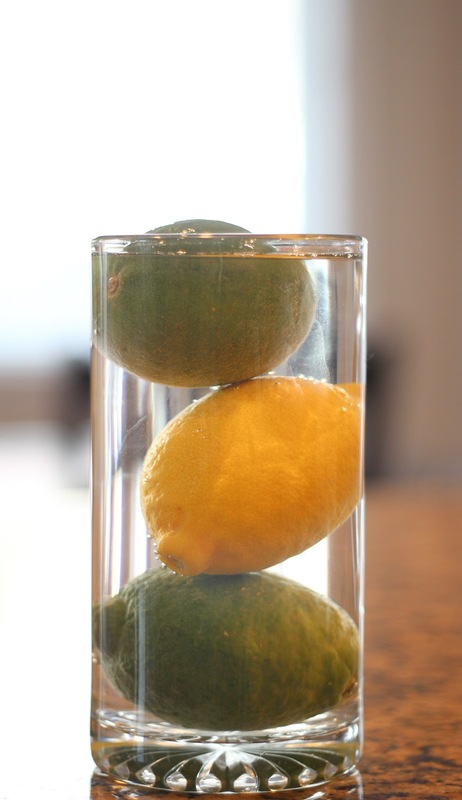 Place the lemons or limes in warm/hot water and let them sit for a bit. Once they have warmed up, roll them on the counter, pressing down firmly to loosen things up inside and soften the lime or lemon. Cut in half length wise and squeeze easily! And that is the best way to juice a lemon or lime. I haven't tried warming them up like that -- great idea! Also, you get the most juice if you cut them end-to-end instead of across.